Fine form on the opening day of action; on the second day of play, Wednesday 17th January, in the Under 21 Men’s Singles event at the Seamaster 2017 ITTF World Tour Hungarian Open in Budapest, for the host nation’s Bence Majoros that form continued. Once again he defied the odds; at the semi-final stage of proceedings, the no.14 seed, in a thrilling full distance five games encounter he beat Frenchman Joe Seyfried, the no.3 seed, by the very narrowest of margins (11-7, 4-11, 11-8, 5-11, 11-9). The win means that he becomes the first Hungarian to reach an ITTF World Tour Under 21 Men’s Singles final since Nandor Ecseki achieved the feat in De Haan in 2015 when losing to Japan’s Kohei Sambei. A first ever such final for Bence Majoros, it is a second for his opponent in the gold medal contest. In the corresponding semi-final, Chinese Taipei’s Lin Yun-Ju, who was beaten in the title deciding engagement last year in Olomouc by Can Akkuzu, like Joe Seyfried from France, continued his impressive form. The no.11 seed, he overcame Sweden’s Truls Moregard, the no.19 seed (13-11, 11-6, 11-9). 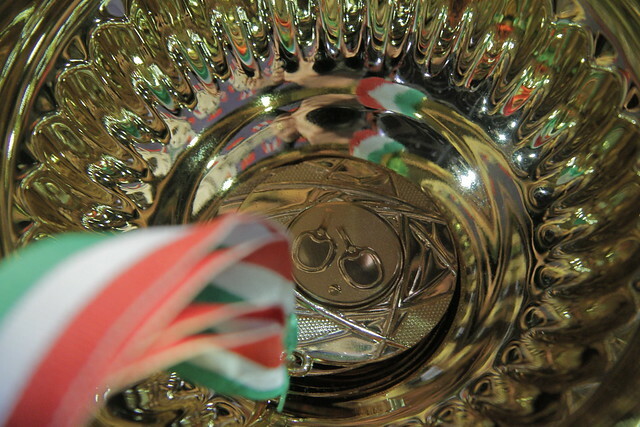 Success for Hungary in the Under 21 Men’s Singles competition; not in the counterpart Under 21 Women’s Singles event, the brave run of Orsolya Feher came to a close. The no.25 seed, she was beaten by Hong Kong’s Mak Tze Wing, the no.2 seed, in three straight games (11-5, 11-2, 11-7). A first final for Mak Tze Wing, alas for colleague Minnie Soo Wai Yam it will not be a third title deciding Under 21 Women’s Singles contest. The runner up last year in Doha and New Delhi when suffering respective defeats at the hands of compatriot Doo Hoi Kem and Japan’s Sakura Mori, the top seed in Budapest, Minnie Soo Wai Yam was beaten by China’s Chen Ke, the no.12 seed (11-8, 14-16, 11-9, 11-4). It is for Chen Ke her second career Under 21 Women’s Singles final; last year she won in the Germany, when overcoming teammate Sun Mingyang to reserve the top step of the podium. Both the final of the Under 21 Men’s Singles and Under 21 Women’s Singles event are scheduled for later in the day at 2.30pm (local time).